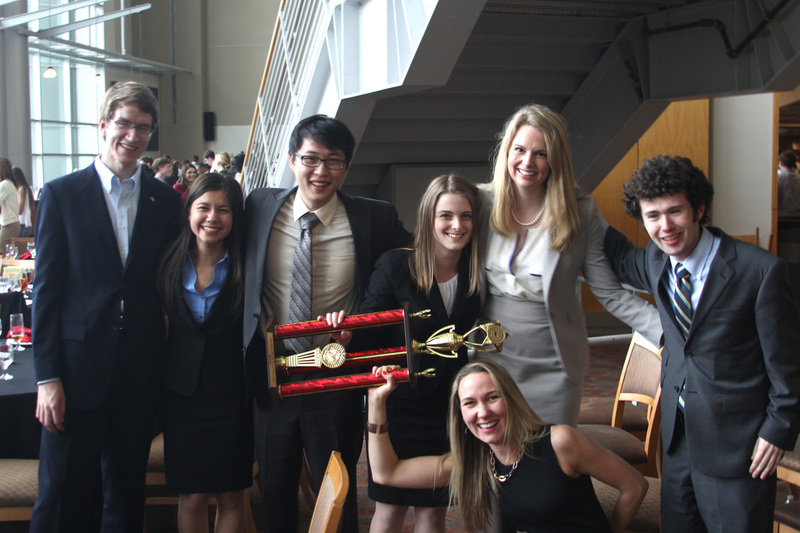 The American Mock Trial Association (AMTA) has just released their Team Power Rankings (TPR), which quantify the success of national programs over the past three seasons. Every team that has competed at least once in the past three seasons--over 650 teams in all--is included in the Rankings. Out of that list, UW is Number 10. TPR is calculated based on performances at the three past national tournaments that AMTA hosts, with the more recent competitions weighted higher. UWMT rounds out an illustrious Top 10 that features 9 of the past 15 national champions. This is a huge accomplishment for the young Seattle program, one that has been driven by sustained success since its founding. In the past five seasons, the Huskies have attended four National Championship Tournaments (NCT), including the last three in a row. 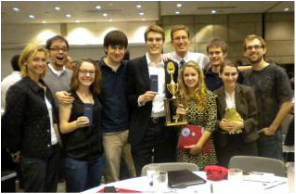 Over the years, the program has taken home dozens of trophies and over fifty individual awards. With that success, the team's Ranking has risen from the 60s, to 42, 24, and, until recently, 19. This honor is an opportunity to celebrate everyone who has made this achievement possible. Even though only a handful of students each year competed at the NCT, the remaining mockers provided essential internal competition and insight at practices and scrimmages that benefited all involved. And, before these past three seasons even occurred, the founding members of the program served as representations for what UWMT would continue to stand for: excellence. Perhaps the biggest connection between the national success that the Huskies have enjoyed is the presence of head coach Madeline Roche, who has volunteered hours of her time for weeks on end over the past five seasons. Without her support, or the support of the generous donors who have helped to fund the club year in and year out, this team would not be what it is today: an elite program that proudly represents the University of Washington, Seattle, Washington State, and the Pacific Northwest across the nation. To everybody who has helped to make this possible--students, coaches, faculty, volunteer judges, donors, family, and friends--thank you for all your support. We are all part of the UWMT team; this accomplishment is our success.